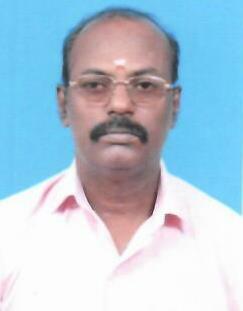 Shri D Dhanraj has joined as MTS on 14.05.1992 at HPT, AIR, Avadi, Chennai. He was transferred to AIR, Chennai in the year 1994. During his service period, he has served in various sections like GA, Cash, Duty Room, Programme, Accounts and Marketing. He worked under various Officers namely, DDG/Deputy Director/SAO etc. After 24 years of service, he has opted for VRS and is retiring today (i.e.) 31.08.2018. A very sincere, dedicated and hard working personnel. Staff of AIR, Chennai and Prasar Bhararti Parivar wish Shri D Dhanraj a very peaceful and healthy retirement life. Forwarded by :T. Rajendiran DY. Director General (E),All India Radio, Chennai. SLOWLY SLOWLY SONG BY GURU RANDHAWA MP3 DOWNLOAD. AIR projected India’s viewpoint on contemporary issues in the right perspective. ?????? ?????? ?????? --???????? ????? ?, ???? ???????? ????? ??? ????? ?????? ?? ????? ?????? ?????? ????? ?????? 2018? ???????? ?????? ???????? ???????? ??? ????? ?????? ????? ???? All India Radio now on Amazon Alexa .. ???????? ???? ??? ??? ???? ??????????? ??????? ? ???????? ???? ??? ????? ???? ?????? ??????? ?, ????? ??? ????? ????????? ?? ?????.. Obituary:Nivedita Kujur of DDK Bhopal is no more. ???????? ???? ??? ?????? ???? ?? ????? Glimpse of CSU's "Agency - client meet- 2018"